In 1693, Mather wrote an account of afflictions which Margaret Rule, of Boston, then about seventeen years old, began to endure on the 10th of September of that year. 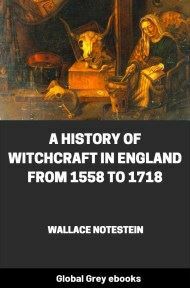 This production drew forth the first open shot at the then prevalent definitions of witchcraft—at the assumed source of power to produce it—at the adopted methods of proceedings against it, and at treatment of persons on whom that crime was charged. Robert Calef, called a merchant of the town, either listened to statements or received written ones, made by other persons who had been present with Mather around this afflicted girl at her home during some scenes which the latter had described, or he was himself a witness there. From data early obtained he furnished a version of the case which disparaged the minister’s account, and questioned the propriety of some of his proceedings. Calef’s was in itself a rather meager production, not putting forth the whole or even the main facts in the case, but indicating that in this, that, and the other particular, Mather had misstated or overstated, and that some of his own acts might be indelicate or improper. This production so incensed Mather that he openly pronounced Calef “the worst of liars,” threatened him with prosecution for slander, and actually commenced legal proceedings against him. In a subsequent letter, September 29, Calef respectfully asked Mather for a personal interview in the presence of two witnesses, in order that they might discuss and explain. 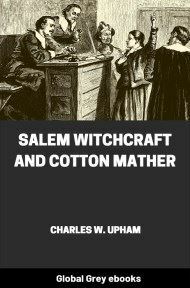 Mather intimated willingness to comply with the request, but dallied, till Calef, November 24, sent a second letter, in which, rising at once above the comparatively trifling question whether himself or Mather had furnished the more accurate and better report, he grappled with fundamental questions pertaining to the devil, witchcrafts, and possession, and set forth distinctly some points which, in his judgment, needed discussion then; for on them he dissented from Mather, and probably from a majority of the people amid whom he was living. In much of that letter, Calef, or whoever composed it, manifested discriminating intellect, clear perception of his points, firm will, together with strong desire and purpose to labor earnestly for acquisition of knowledge by which either to convince himself that his own positions were unsound, or to better qualify himself to reform some prevalent faiths and practices. The Bible was his magazine, and implements, weapons, or stores from any other source he deemed it unlawful to use for defining, detecting, or punishing witchcraft. Bowing to the Scriptures in unquestioning submission, he took them as guide and authority. In the outset, frankly and definitely stating his own belief, he, in an apparently manly way, sought manly discussion. 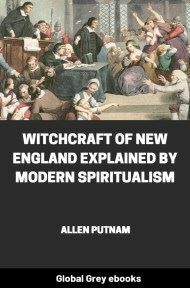 He believed, page 62, that “there are witches, because the Scriptures plainly provide for their punishment.” The only known definition of witchcraft that to him seemed based upon and fairly deduced from the Scriptures, was “a maligning and oppugning the word, work, or worship of God, and, by any extraordinary sign, seeking to seduce from it.” He believed “that there are possessions, and that the bodies of the possest have hence been not only afflicted, but strangely agitated, if not their tongues improved to foretell futurities; and why not to accuse the innocent as bewitching them? having pretense to divination ... this being reasonable to be expected from him who is the father of lies.” This witchcraft assailant, therefore, was a protestant not against belief that the father of lies sometimes possessed, afflicted, and strangely agitated human beings, and also controlled their tongues to prophesy, to accuse the innocent, and to pretend divination. His protest was against unscriptural definition of witchcraft, and against those kinds of evidence, rules, and methods used for its detection, proof, and punishment which made his age pronounce guilty and execute many who could not possibly be found guilty of that crime, where its scriptural definition was adhered to. 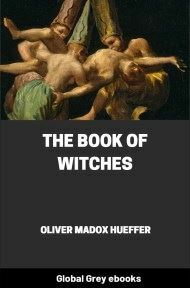 He was not a disbeliever in witchcraft of some kind, nor of action upon men by some invisible intelligences in his own day. 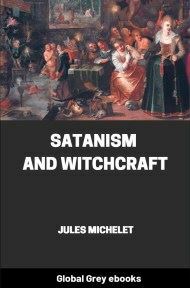 He and Mather both were believers in witchcraft outwrought by supernals, but differed as to what might or might not constitute it, and therefore, also, as to the extent of the prevalence of the genuine article. Calef seemingly believed in possessions,—that is, in control by spirits of some quality,—but was unwilling to concede that such control was witchcraft, as many people at that day did, though Mather may not have been one among them abidingly. Both of them conceded a commission by God to the devil. But we doubt whether his commission was ever more special than that which every created being, in either material or spiritual abodes, constitutionally holds at all times, to avail himself of whatever natural laws or forces his inherent powers and attending circumstances enable him to control. Words are often used which obscure proper, if not intended, meaning. Commission from God means no more than constitutional capabilities to perform at times certain specified things when conditions and circumstances favor command of natural forces. That special powers are often conferred upon mortals by some supernal beings whose recipients are prone to ascribe the gifts to omnipotence is obviously true; though their increased abilities are only bestowments by finite invisibles.